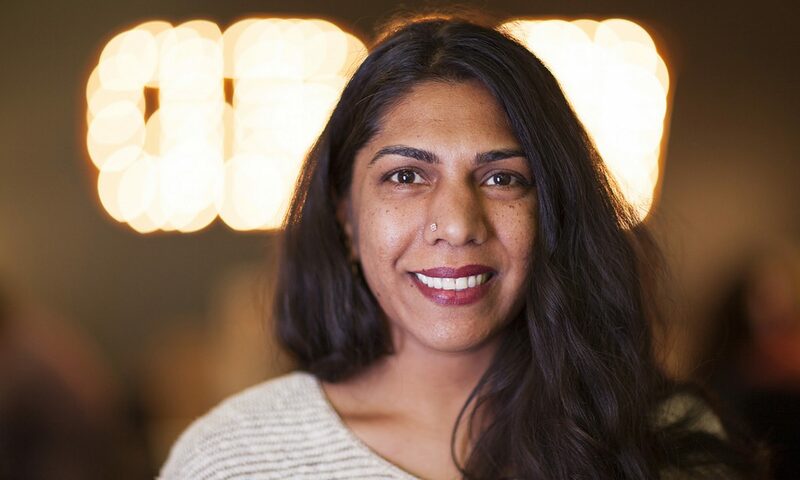 Deepa Subramaniam has spent 15+ years leading large product teams to collaboratively build innovative digital products with mass reach for all platforms. Deepa is the co-founder of Wherewithall, an advising company dedicated to helping tech startups and non-profits strategize, grow and execute with ease. Deepa is currently on the Board of Directors for DonorDrive (parent company: Global Cloud). DonorDrive is one of the best peer-to-peer fundraising platforms which has helped worthy causes raise over $1 billion. Additionally, she serves as a Special Advisor to the ACLU, helping to inform the nearly 100-year old organization’s digital product and technology efforts. Prior to starting Wherewithall, Deepa was Vice President of Product and Design at Kickstarter. Before Kickstarter, she was the Director of Product at Hillary for America where she helped lead product for the campaign focusing on online fundraising, hillaryclinton.com and bespoke policy and rapid response digital products. Before Hillary for America, Deepa led product at charity: water, a non-profit dedicated to bringing clean water to the developing world. She started her career at Adobe, first as a Computer Scientist and later as a principle lead in the creation of Creative Cloud. She champions data-driven design iteration, achieving high-velocity team output in fast-paced environments, and building collaboration and joy into company culture. Read some interviews with Deepa on The Great Discontent, Sweat the Product or Ways We Work. Or listen to her on Jeff Veen’s Presentable podcast or Ryan Carson’s Educate Yourself podcast. October 2018: Podcast with Software Engineering Radio on Leadership Best Practices when leading product and engineering-driven organizations. June 2018: Designers + Geeks NYC – Interactive talk around how to reduce friction between Product Managers and Product Designers. April 2018: “Revitalizing a cross-functional product organization” joint keynote at The Lead Dev NY. Slides here. April 2018: “Building Innovative Digital Products”, keynote at Year of the X.
February 2018: Joint Fireside Chat with Lara Hogan at Skillshare. November 2017: “Campaign Speed: How to Launch 55 Products in 579 days”, brownbag at Betaworks. October 2017: Generators Summit, “Content Platforms Shifting Creativity”, roundtable with Mala Sharma (VP & GM Creative Cloud, Adobe) and Sara Ortloff Khoury (Director of UX Design, Google). Video here (starts at 51 mins). May 2017: “Building Products for Campaign”, Design-Driven NYC. Video here. December 2016: Keynote at Stripe’s all-team internal summit with John Collison. Discussed how the Stripe platform helped Hillary for America and charity: water raise massive funds online. March 2015: Microsoft panel on being a public persona in tech. Video here. March 2015: “Making Data-driven Product Decisions”, Design-Driven NYC. Video here. November 2014: Keynote at Harvard’s “Igniting Social Innovation” Summit. Video here. May 2018: The Great Discontent — An interview with The Great Discontent about impact through smart products and the benefits of cultural dualities. April 2018: Matter VC – A conversation with the Matter VC team about product development at the very early stages of a startup. November 2017: Educate Yourself podcast – An interview with Ryan Carson on using technology to solve exponential problems. August 2016: Presentable podcast – An interview with Jeff Veen about building products on the Hillary for America campaign and lessons learned. March 2016: Ways We Work – An interview about building products on the Hillary for America campaign. January 2015: Sweat the Product – An interview about career paths and how building products at Adobe led to building social impact products at charity: water.